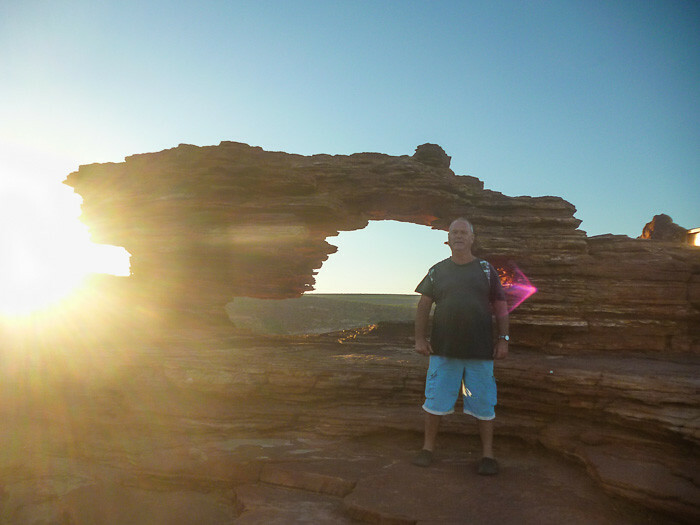 Some more tourist photos from the Gascoyne and the Pilbara. 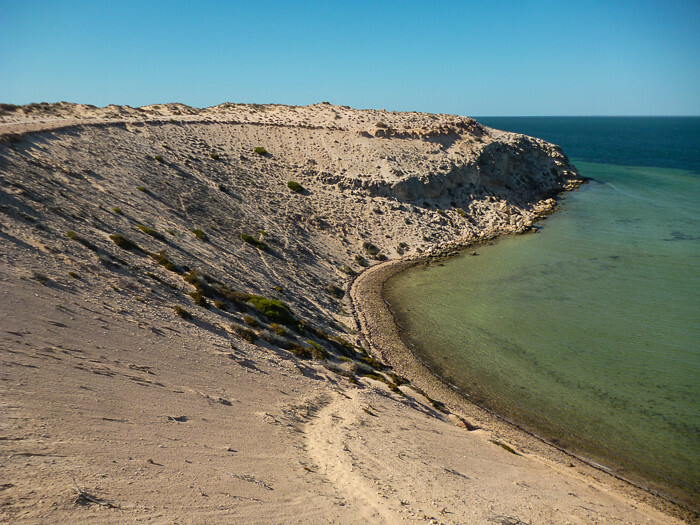 I started off from Carnarvon and went to Quobba Station, then went back to Carnarvon and then north to Exmouth and the Ningaloo Reef. 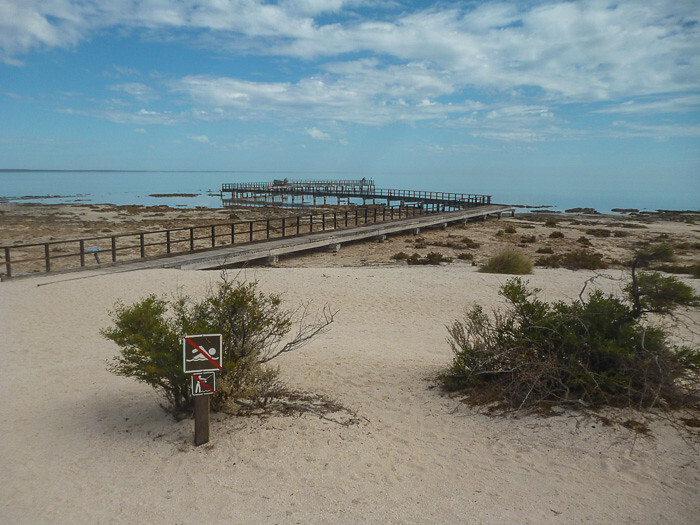 The jetty is the longest in the North West of Western Australia and was constructed by Matthew Price in 1897. It was built to service ships that brought supplies and passengers from Perth and allowed the export of livestock and wool from the region. The wind was onshore when I got to the Dunes Beach in the middle of the day. There were small waves and a few beginners were having fun on the small waves. 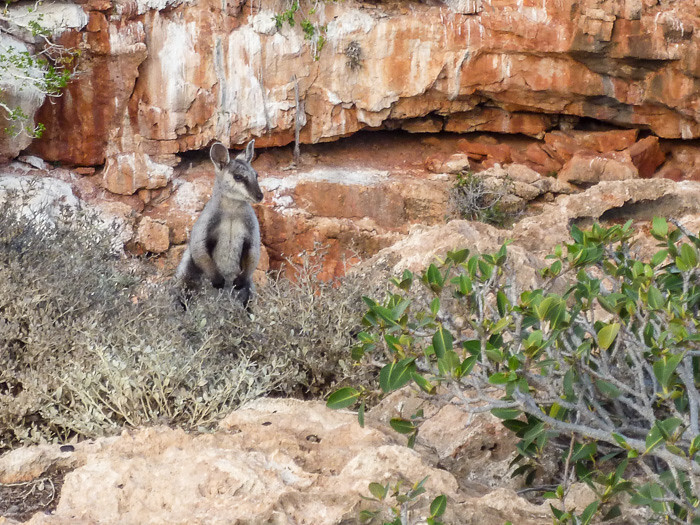 There were quite a few of these wallabies on the cliff faces, perched precariously high above the water. 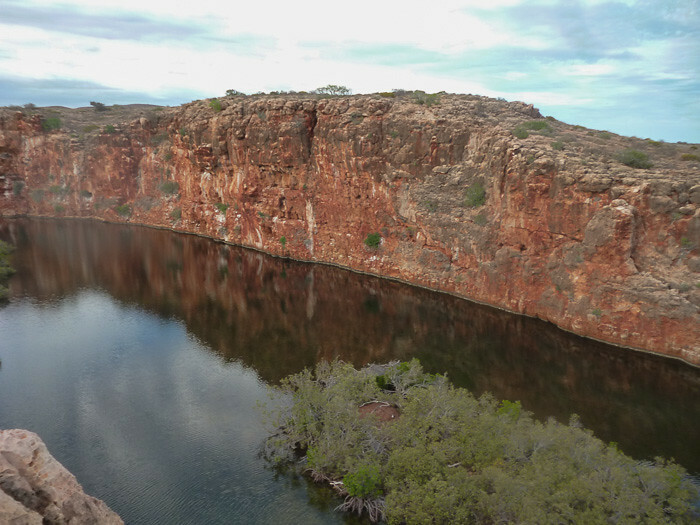 The walk along the edge of Yardie Gorge was very nice. Lots of animals and birds and a very awesome view from on top of the cliffs. 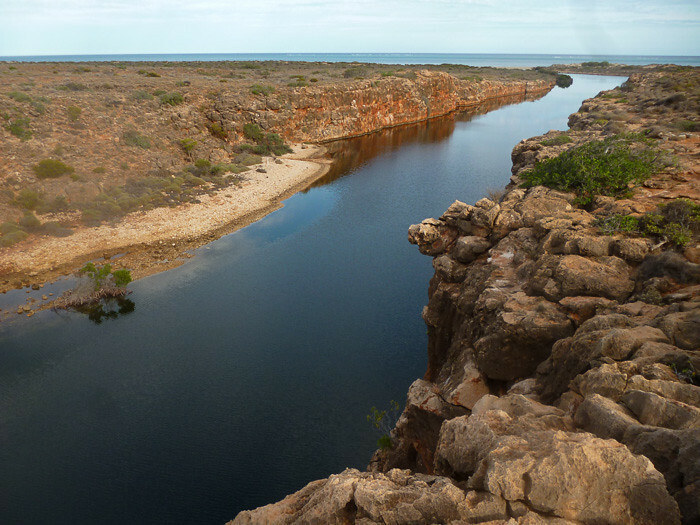 This is the view of Yardie Creek from the gorge. Amazing. The snorkelling here was fantastic. Lots of coral, starfish, stingrays and a plethora of exotic tropical fishes. I need an underwater camera! 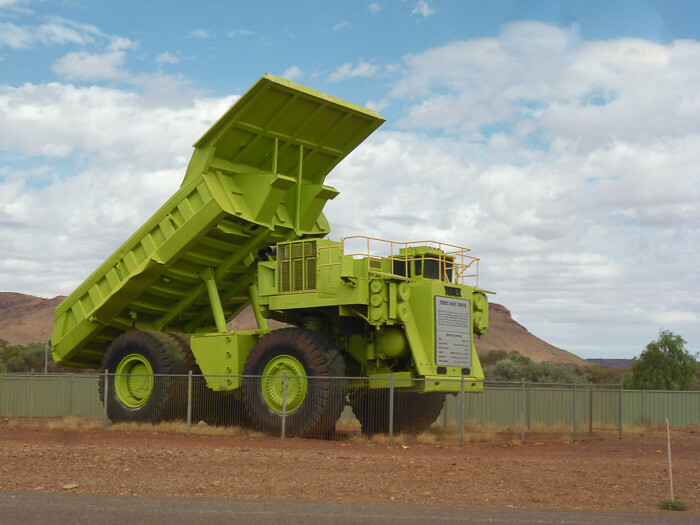 A big mine truck on exhibit at Paraburdoo. There is nothing up here. Just mine towns and rocks and trees. 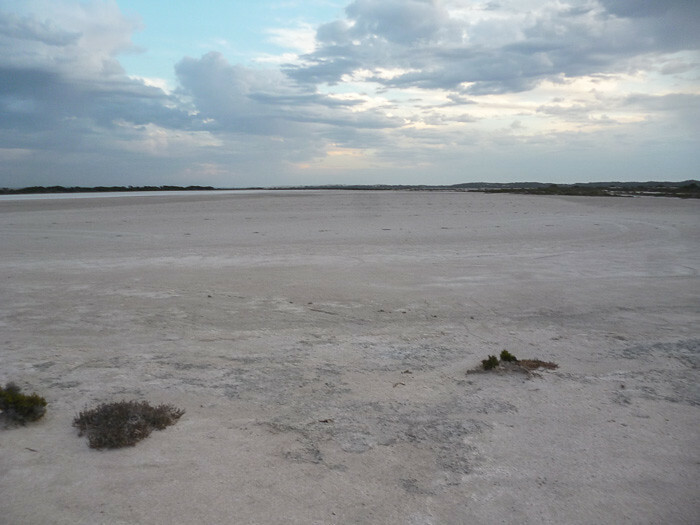 So desolate. 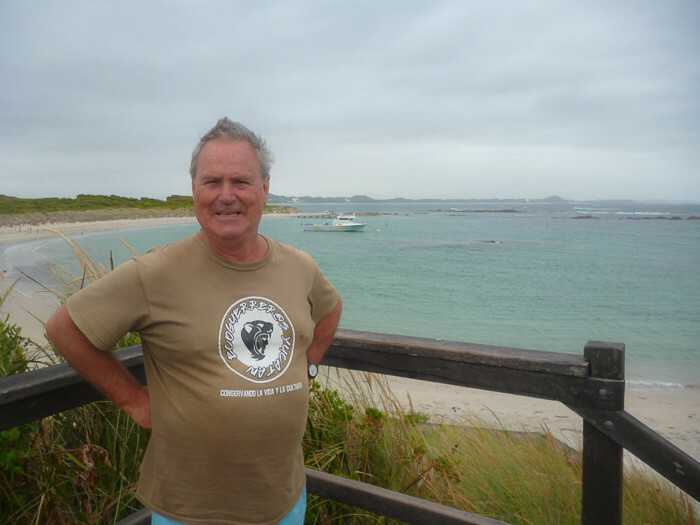 I took off from Geraldton and headed towards Port Gregory after a night at Elbenjo Farm Stay which was really good. 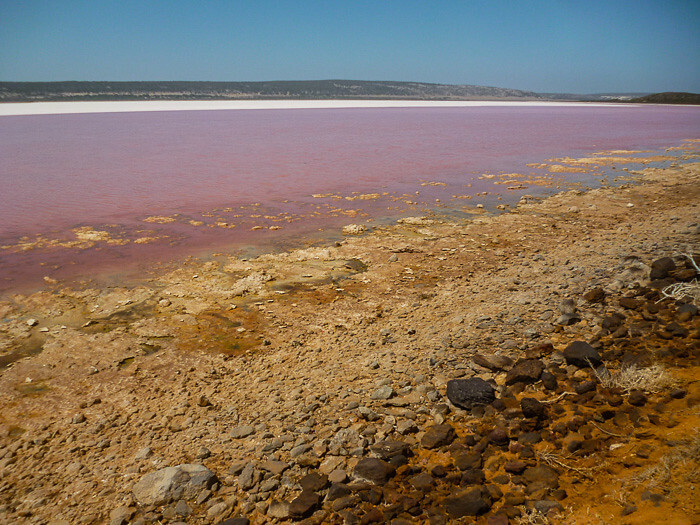 These pink lakes are caused by some type of organism or plant in the lake that they harvest for beta carotene. 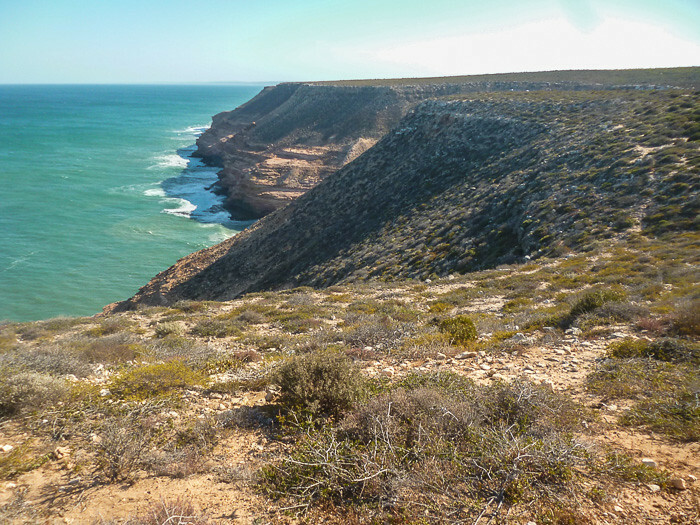 In the Kalbarri National Park. Turning left from the North-west highway I headed west into Shark Bay. 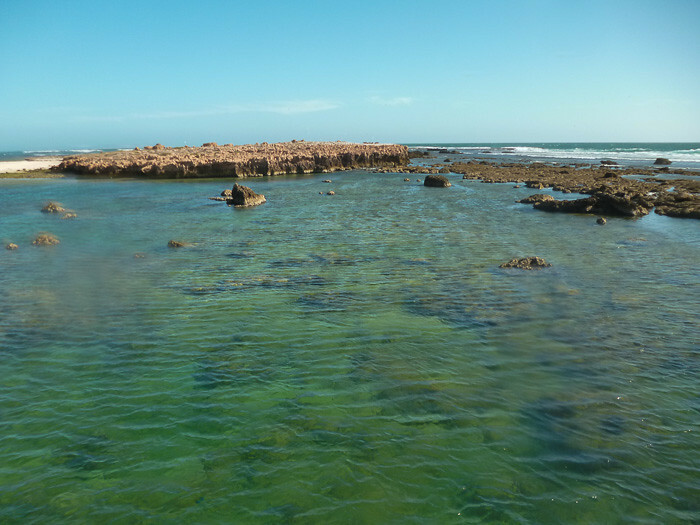 The first stop is the Hamelin Pool to have a look at the stromatolites. 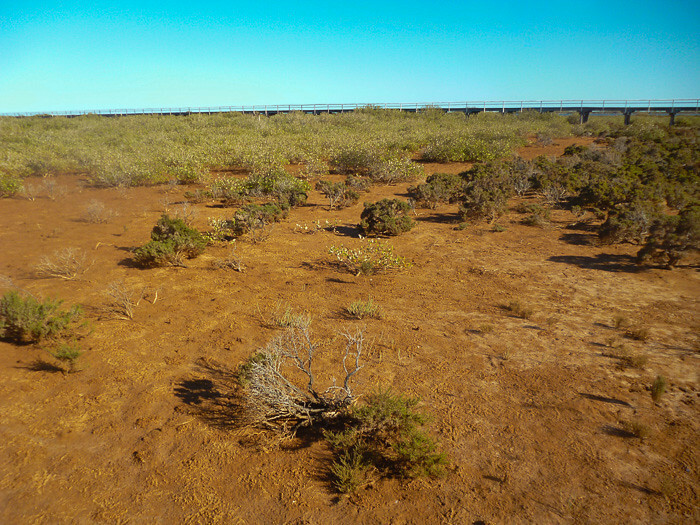 The ground here is covered with microbial mats, communities of microscopic life forms. In certain conditions the communities trap particles and create stone. When this happens, microbial mats become microbialites. 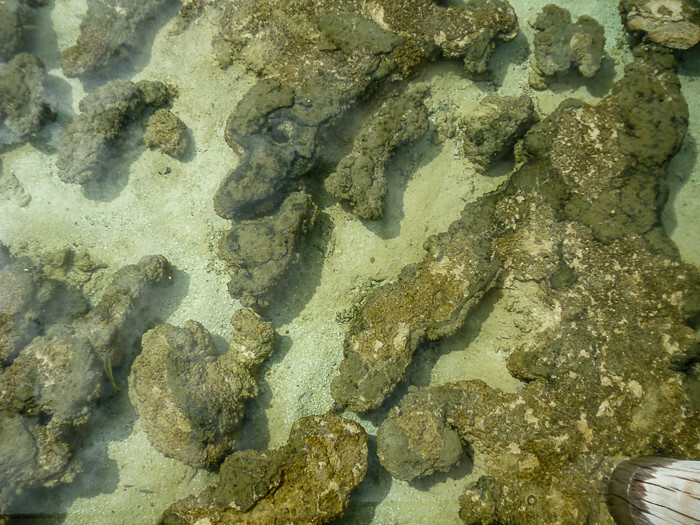 Sometimes microbialites form taller layered structures called stromatolites. 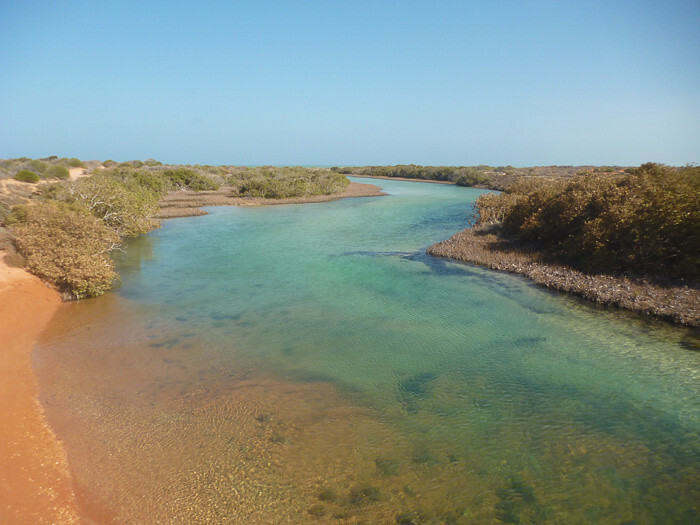 This is the creek that feeds into Little Lagoon. 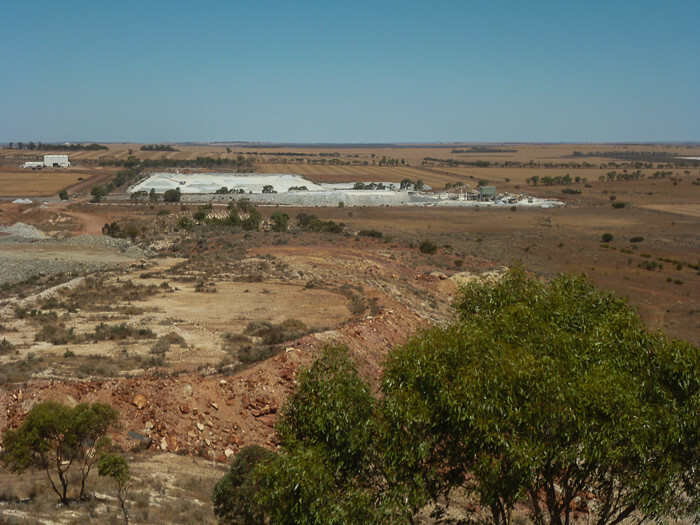 After Northam area I stopped at Badgingarra and did the Vern Westbrook Walk just outside of town. 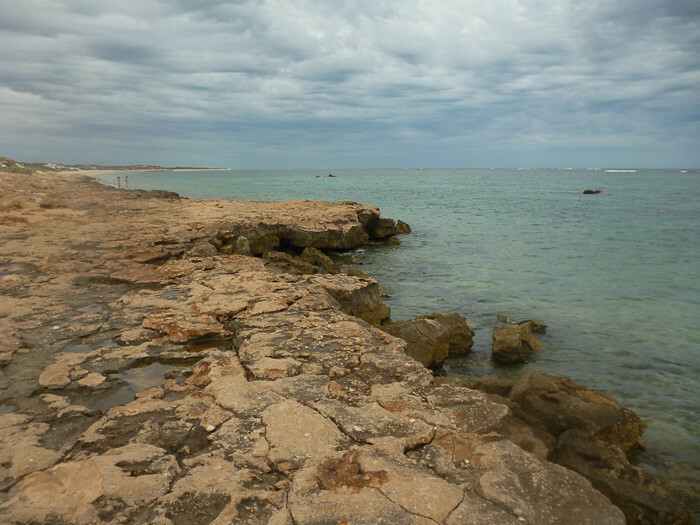 At Cervantes I went and had a look at the stromatolites at Lake Thetis. 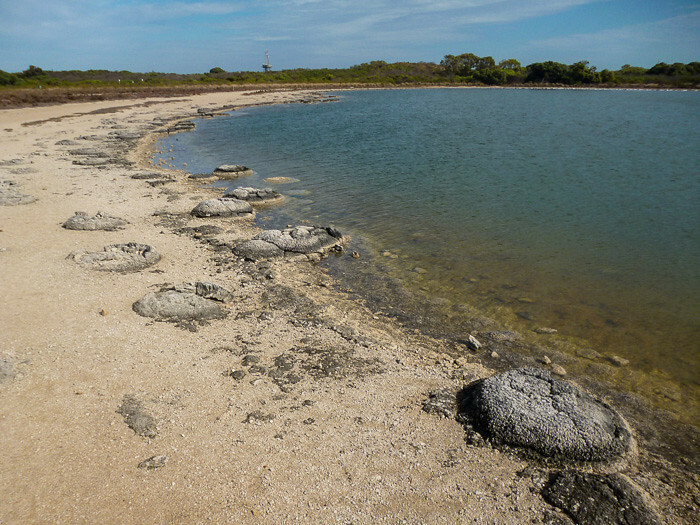 Stromatolites are a living community. 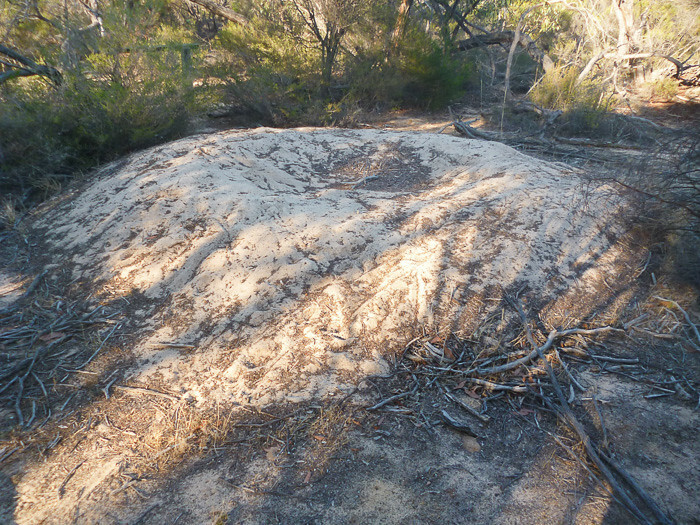 Bacteria in the top layers of sediment release oxygen to form sand bubbles on the surface, a crenulate mat. 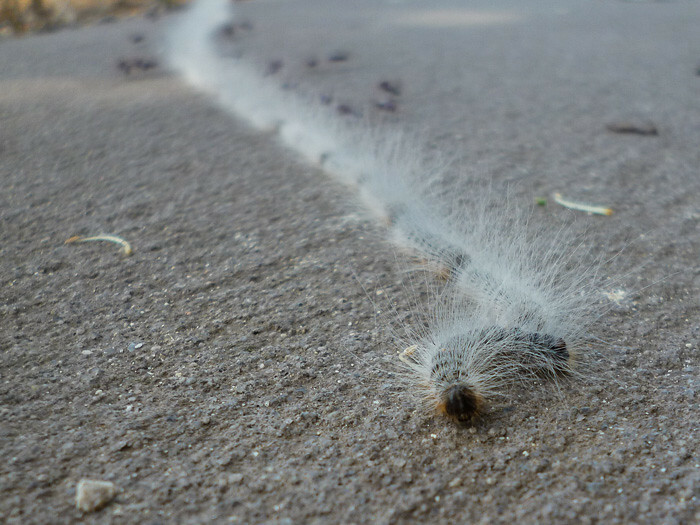 I found a few caterpillar trails along the track around the lake. 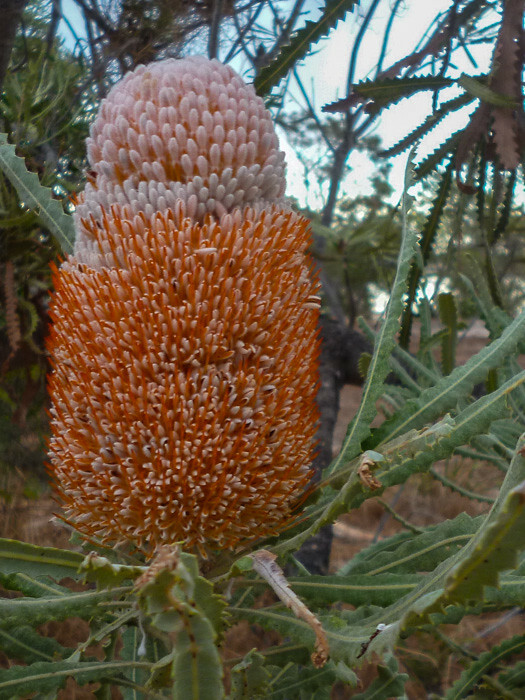 At Lake Indoon I found these banksias that looked like ice creams. 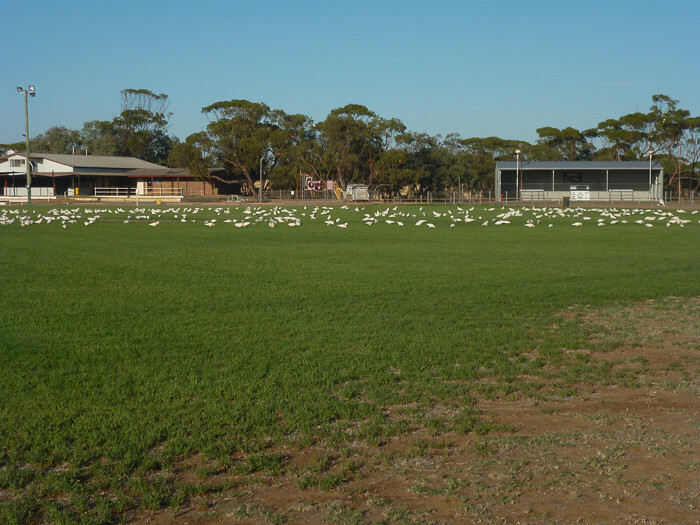 At Three Spings there were hundreds of Western Corella and they invaded the football field. 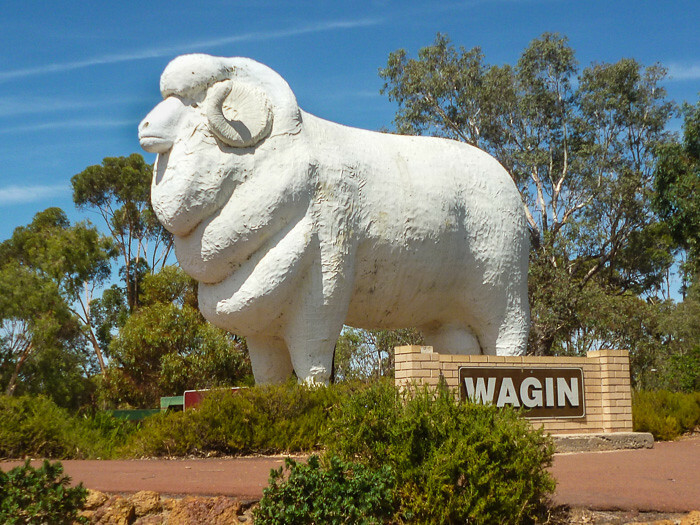 On the road to Perenjori. I cannot remember where I was last in my tourist rants. 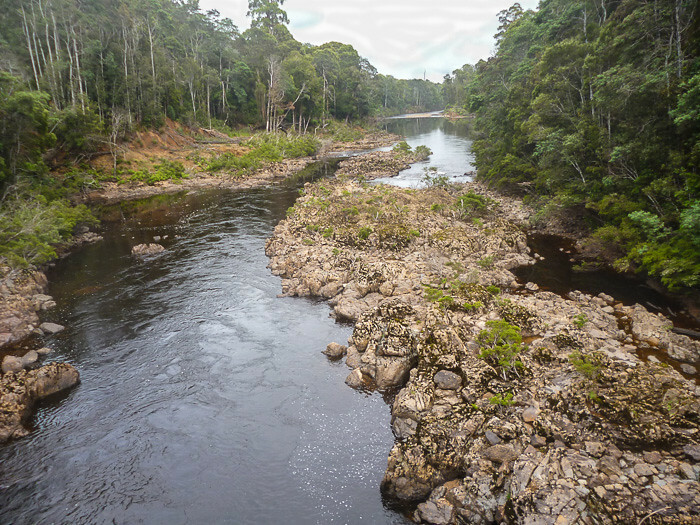 This is Blackwood River National Park – Sue’s Bridge Campground. 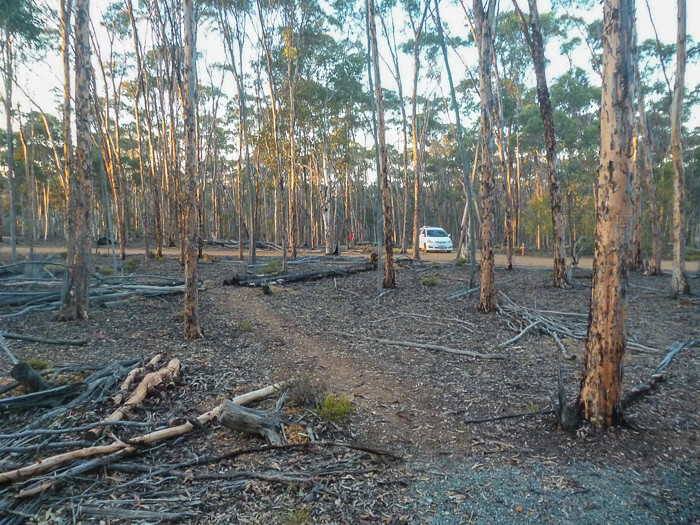 A very nice camp by the side of the Blackwood River. It is just before you get to Augusta in the South-west. 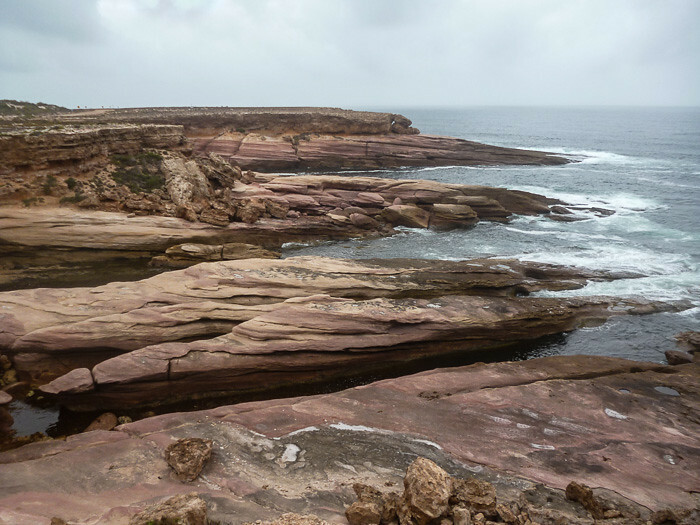 Keep going south from Augusta and you get to the end of Australia at Cape Leeuwin. 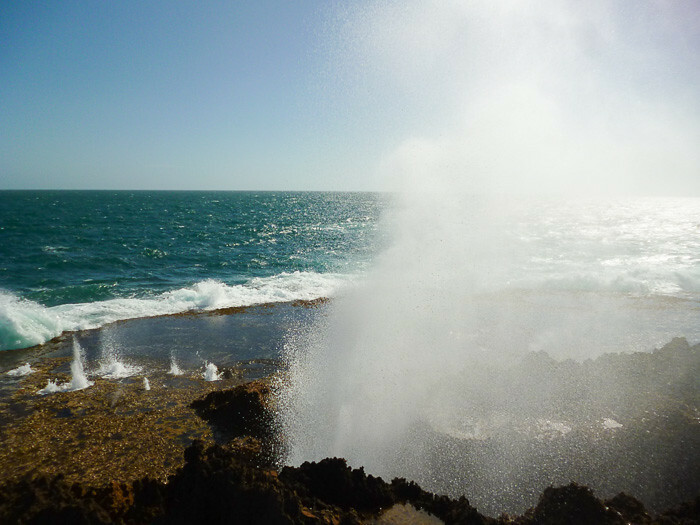 You will be looking at the vastness of the Southern Ocean. Next stop Antarctica. 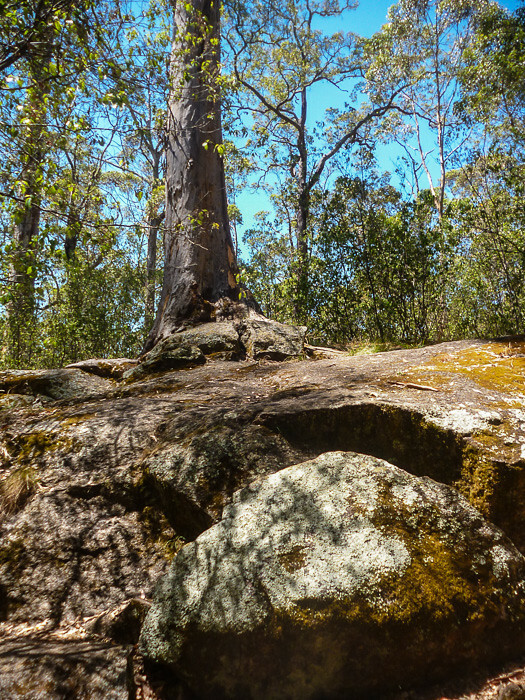 There was a weekend coming up so I headed for the hills to Blackwood River National Park again – this time I stayed at Chapman Pool campground. 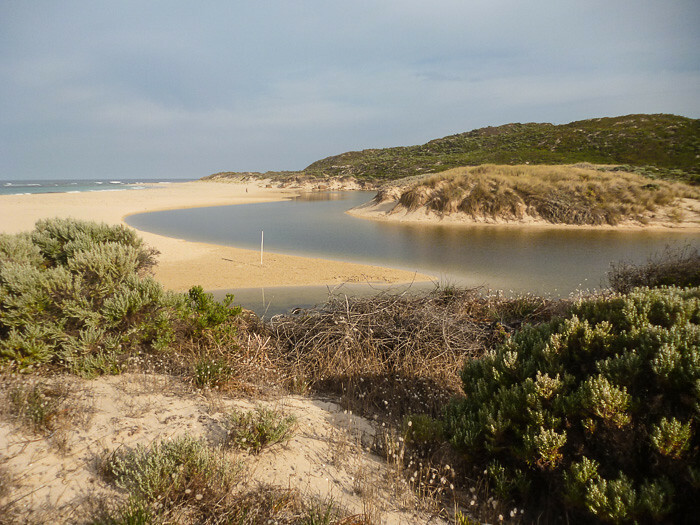 When it was safe to venture back to the coast I hotfooted it to Margaret River. From there I did some shopping at Busselton and Bunbury and headed inland again to head north. 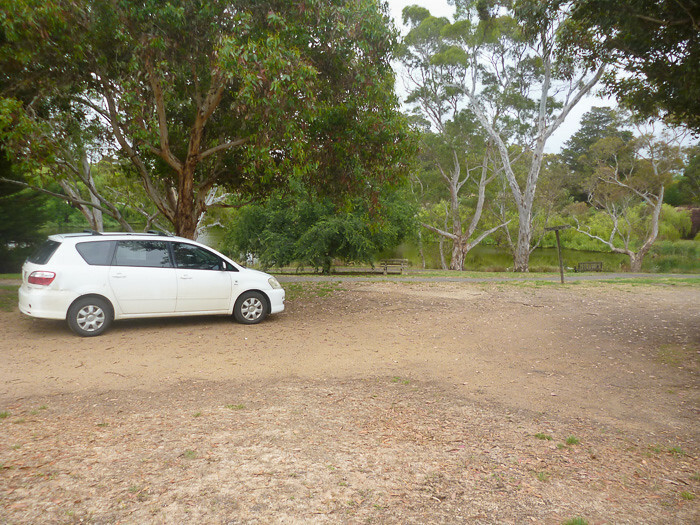 I camped at the Wellington Dam near Collie and then kept heading east to Wagin. 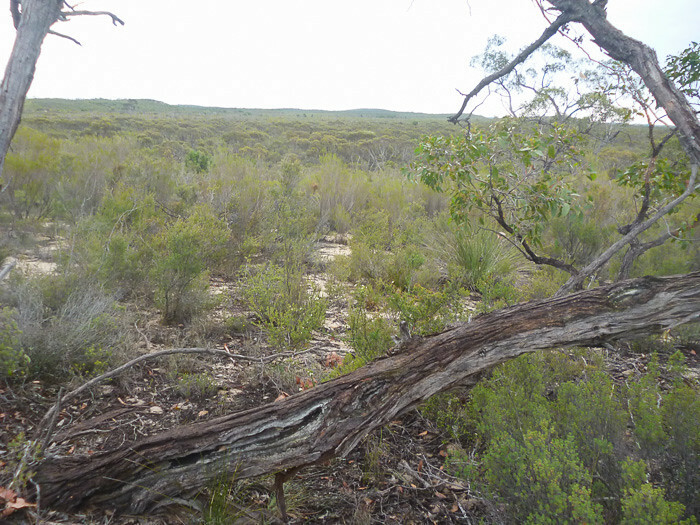 Then I headed North and stopped at the Dryandra Woodland for a couple of nights. 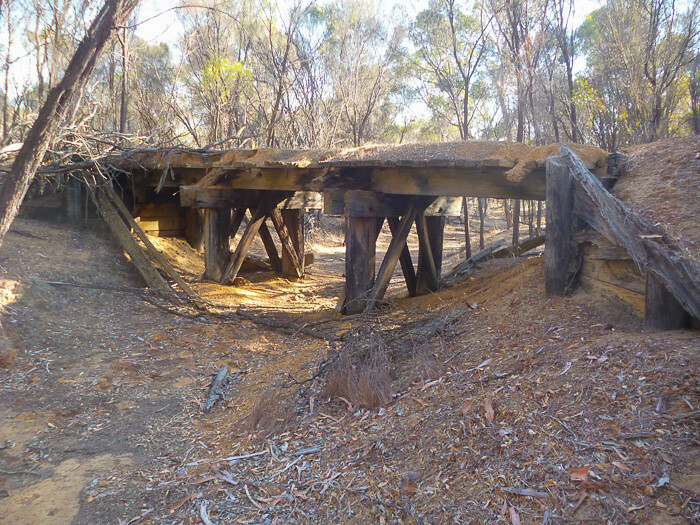 There is a walk along an old railway line and here is the old bridge still intact. And this is a dam for the old steam trains. From there I kept going north past Northam and Moora and then headed west for the coast. I am now at Dandaragan luxuriating in hot showers and clean washed clothes. I got a heap of photos to go through from Jerramungup to Denmark. Half of the things I did I cannot remember now. I visited the Malleefowl Center at Ongerup which was wonderful where I saw a couple of Malleefowl in captivity. I now know how rare they are. 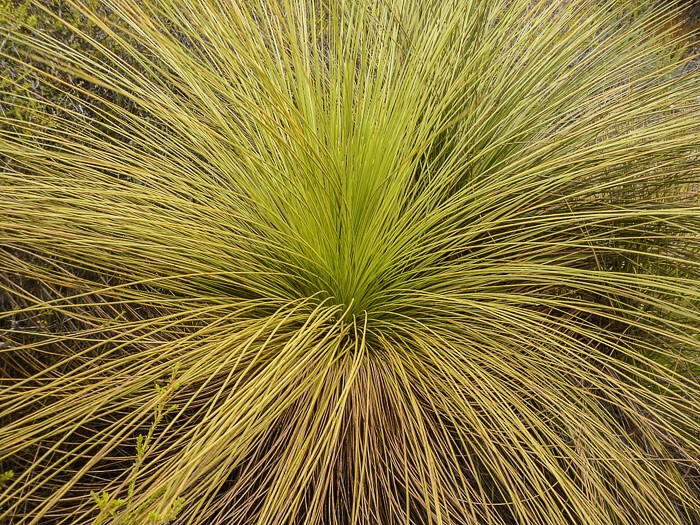 I camped at the Stirling Range Retreat for a couple of nights and then went down to the Porongurup Range National Park. Mount Trio comprises three separate peaks linked together by a plateau. 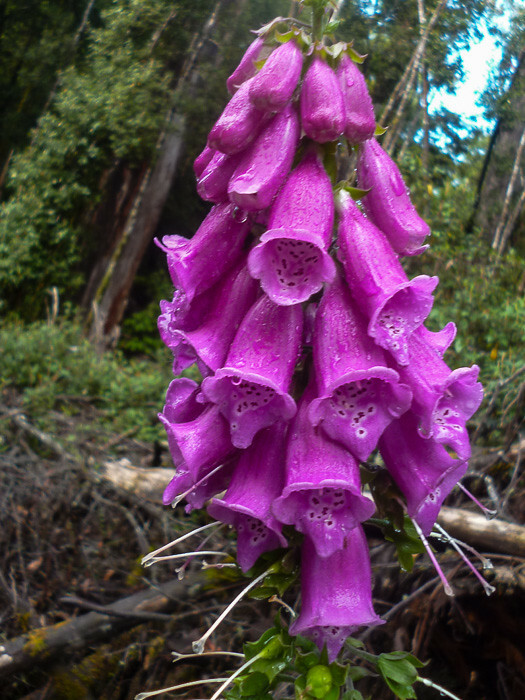 Montane thickets on the upper levels of the peaks put on a colourful display of wildflowers in spring and early summer. 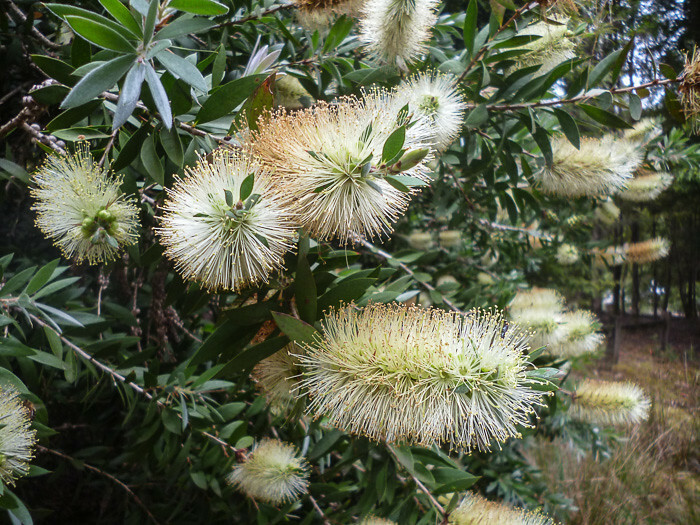 From Albany I went east to Cheyne’s Beach which had a massive array of coastal heath country. 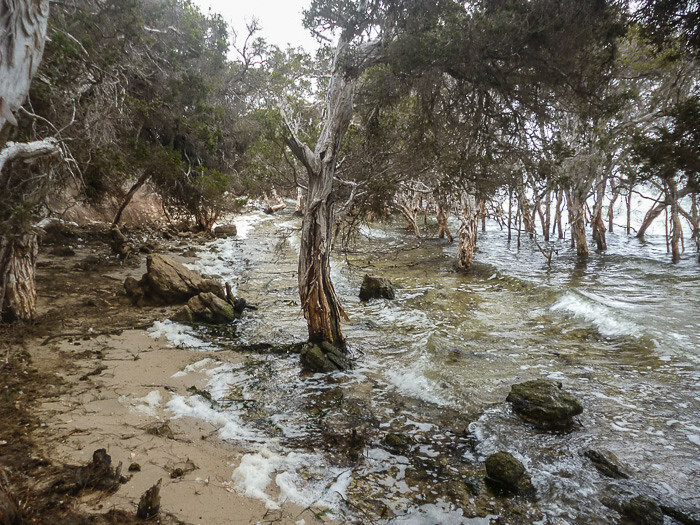 Then west to Denmark, Parry’s Beach and here I am at Peaceful Bay. I do not do selfies very often, But I thought it was about time. 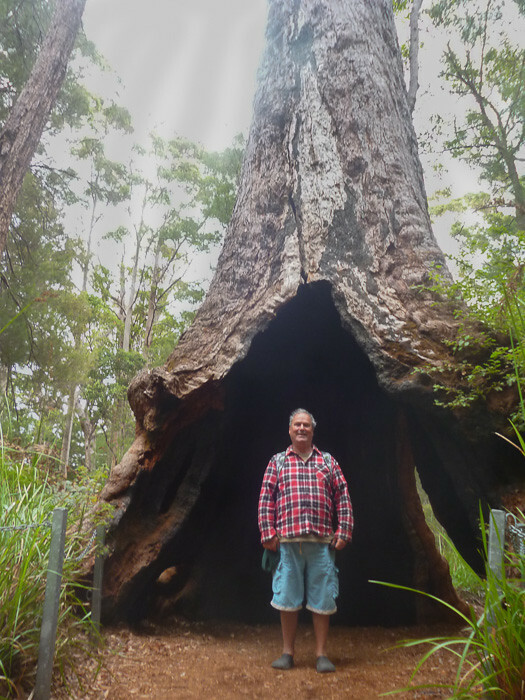 I did a great tour at the Valley of the Giants just before Walpole. I was going to stay at the camp at Shannon but I was attacked by about five thousand March Flies, so I fled that horror. 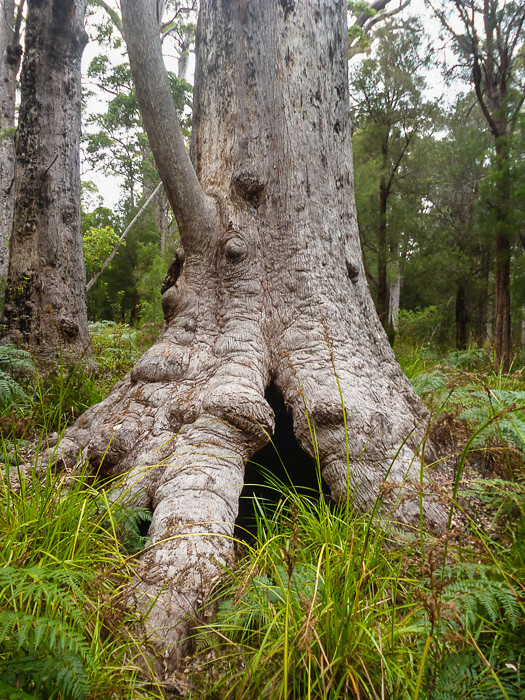 I stopped at Snake Gully and the Big Tree Grove to see all the big trees. 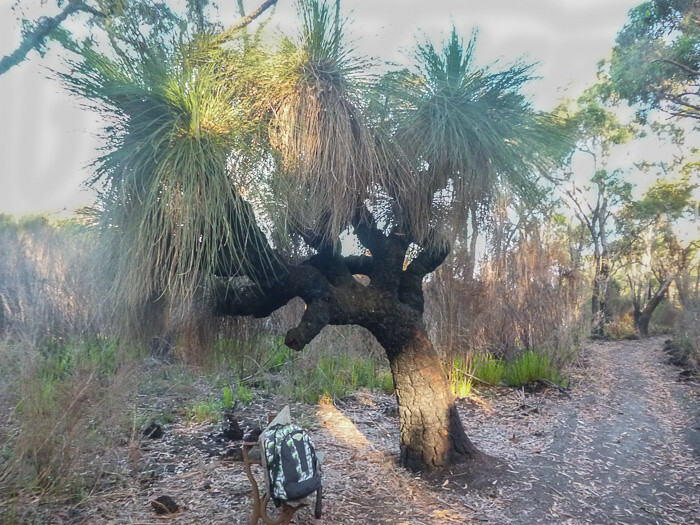 This is a really old grass tree at Sid’s Campground at Northcliffe. This is the water supply for the town of Pemberton. 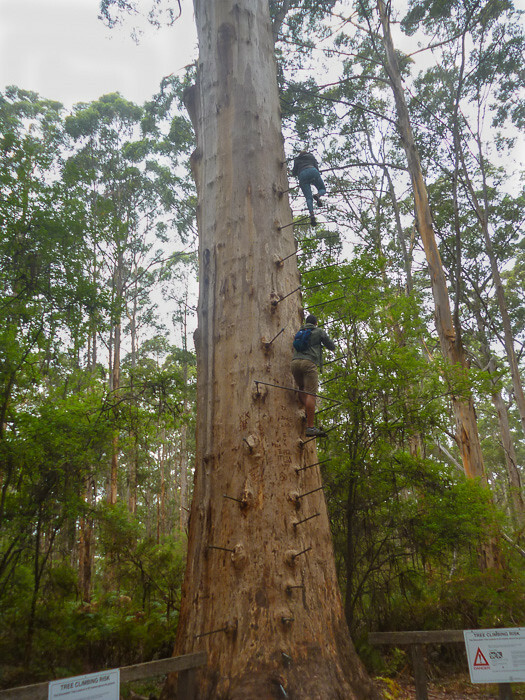 A German couple from Frankfurt climbing the Gloucester tree at Pemberton. 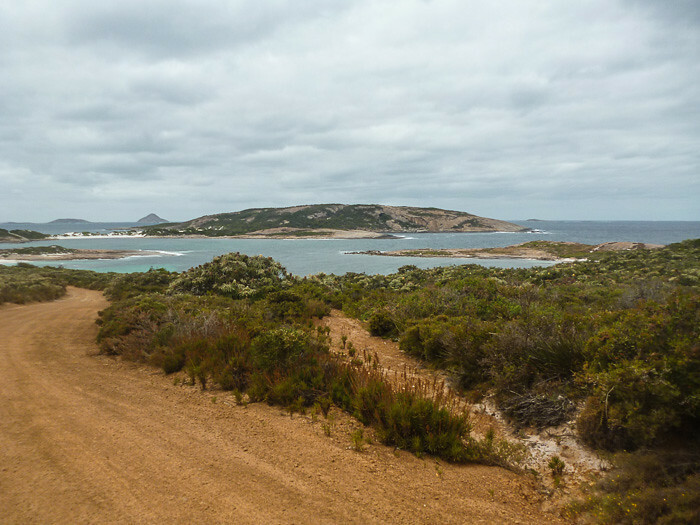 I headed south from Norseman towards Esperance. 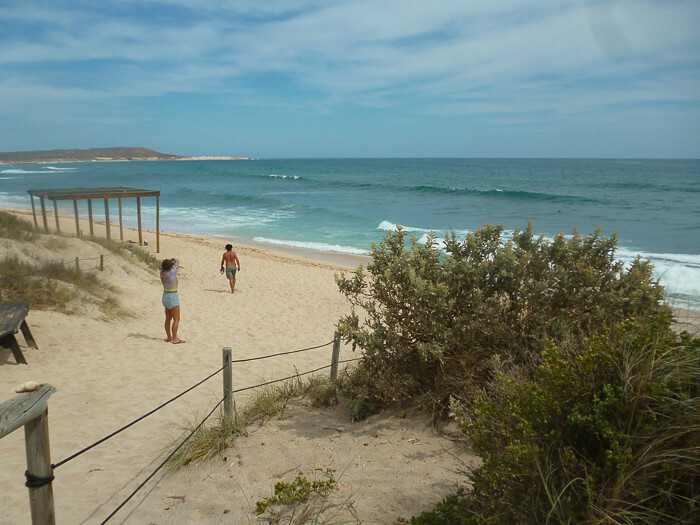 Then I headed east along the coast to the Duke of Orleans Bay and Wharton Beach. Just west of there is Wharton Beach and Little Wharton Beach. These are the islands from Little Wharton Beach. 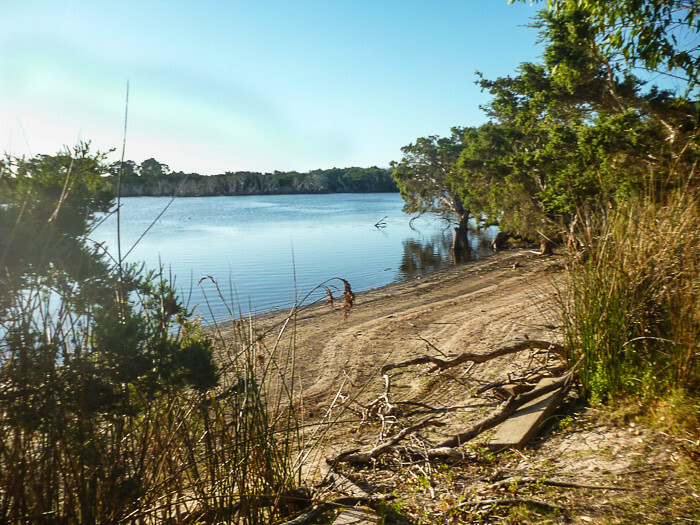 Then I went back to Esperance and had a look at Lake Monjingup. 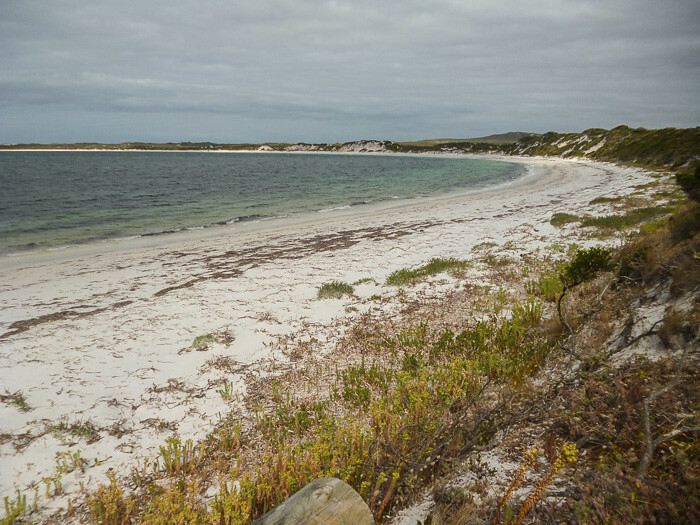 Next stop is Stokes National Park, about 80 kilometers west of Esperance. 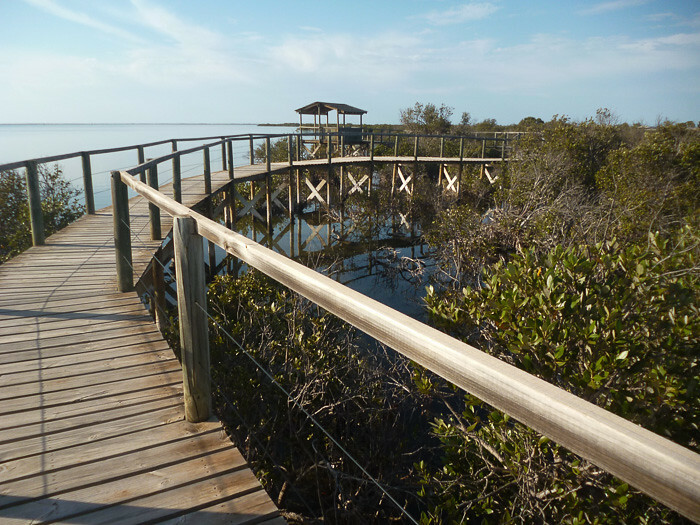 They have a really nice camp ground and the fishing is supposed to be terrific. Black Bream – yum yum. The water seemed to be really high. These paperbarks were looking pretty soaked. 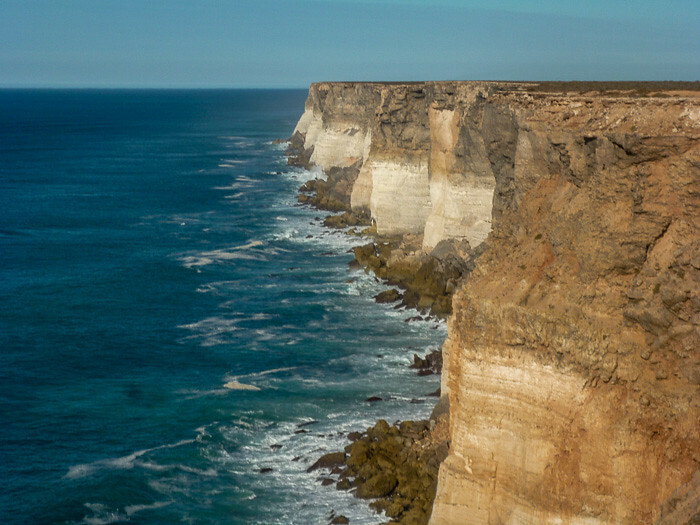 From the Eyre Peninsualar to the cliffs of the Great Australian Bight. Here are some tourist photos taken on my very cheap ($20) point and shoot camera. 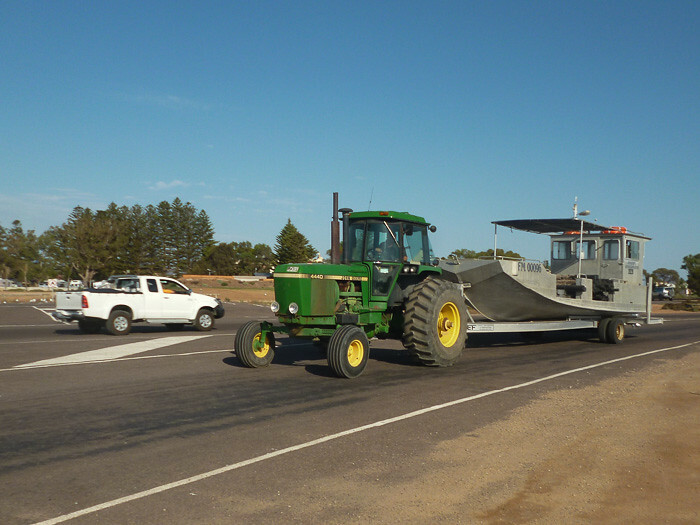 This is how they get working boats into the water in South Australia. No mucking around! 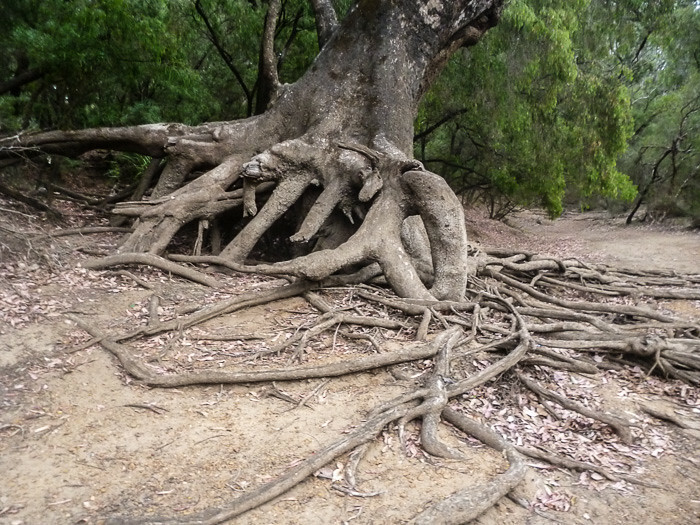 A very old tree at the edge of the swamp. 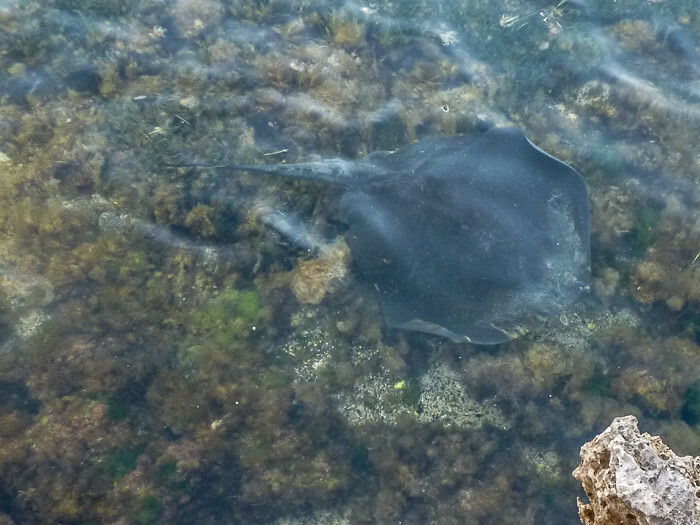 I saw this massive stingray in an estuary near Farm Beach. 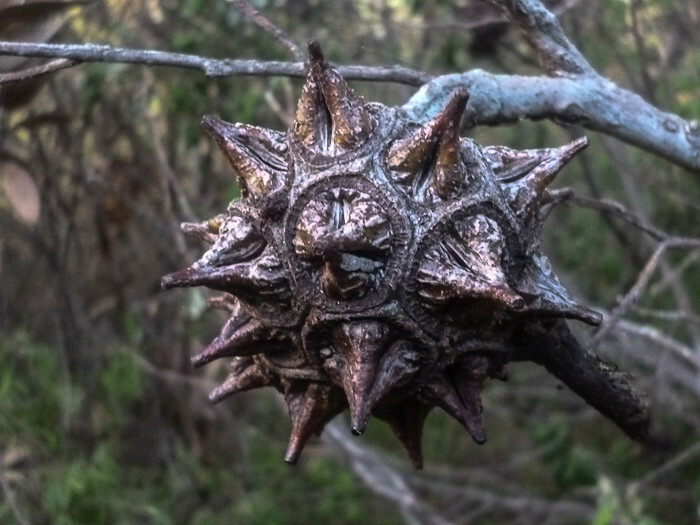 It was massive, nearly a meter across. All the water bodies were dried out. Sad, very sad. 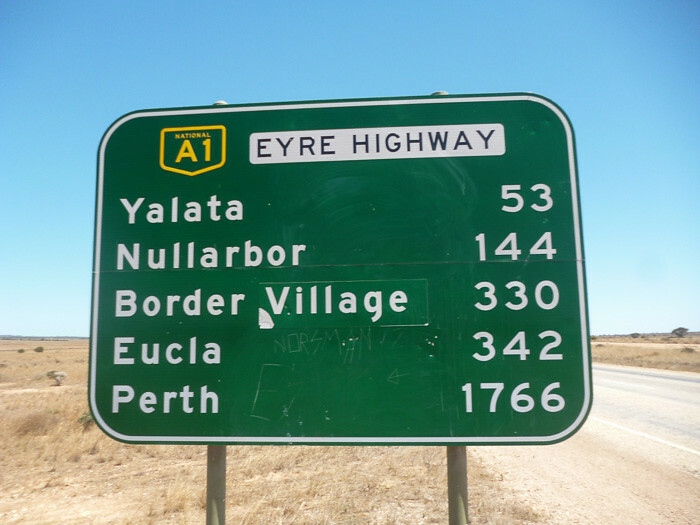 1200 kilometers from Ceduna to Norseman. It took me three days with no radio, no cd player. yawn. First stop off for this blog post was Skipton, central Victoria, where I stopped off for a walk around the lake and a look at the op shops. 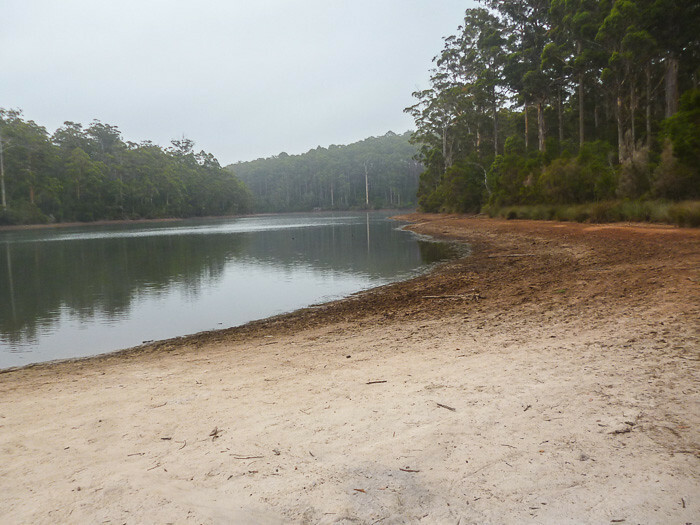 Then I kept heading west to Ararat, where I stayed at Green Hill Lake. Quite a nice little spot by the water with plenty of birds and shade for camping under. Horsham is quite a nice little town in the Wimmera district. 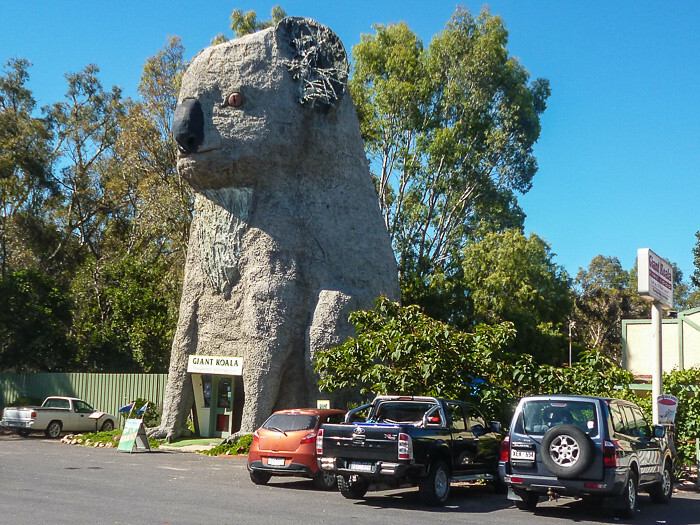 Just west of Horsham was this amazing big koala. I just had to stop and take a photo. It took my breath away. 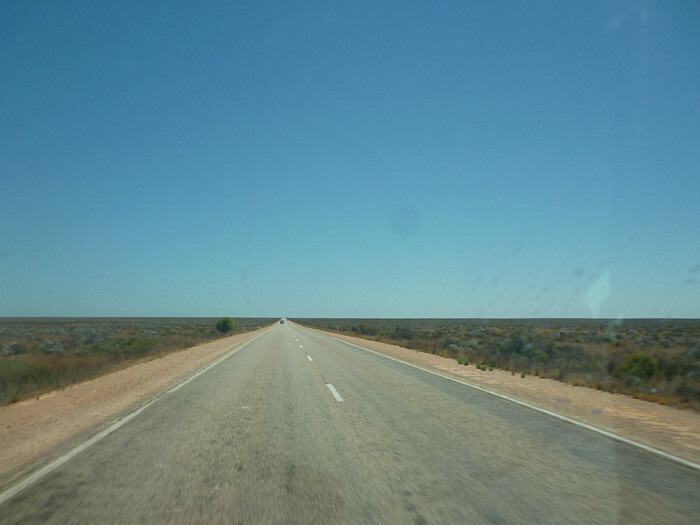 Christmas day saw me on the road to Nhill through the Little Desert National Park. 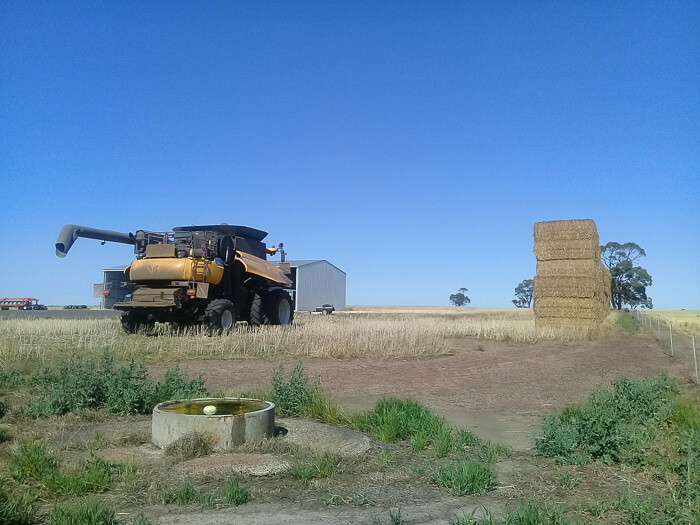 Header and hay. 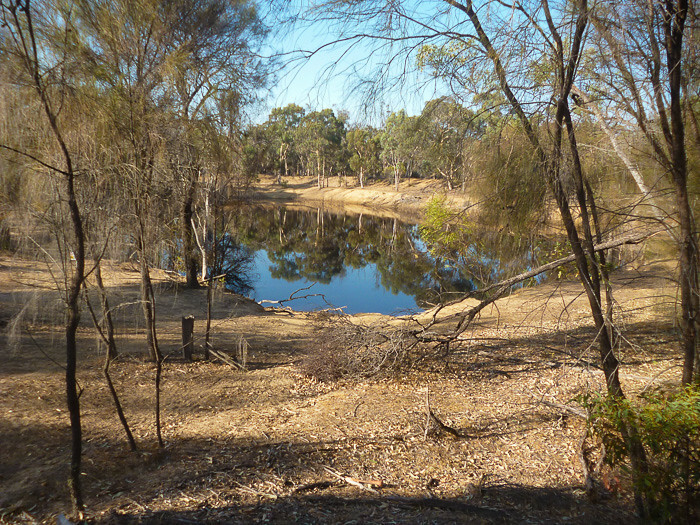 Before that I stopped at the Jane Duff Highway Park for a walk around the water-hole. 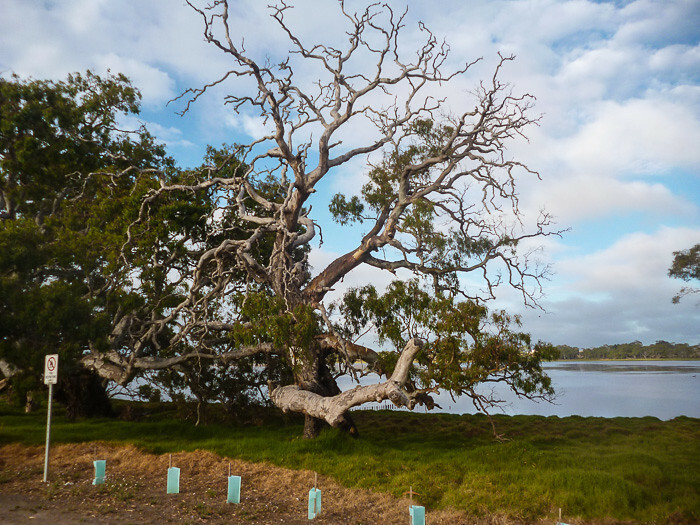 I spent a couple of days at Nhill and I spent most of it at Nhill Lake, enjoying the shade and the water skiing in the tiny little duck pond. I guess they called it a desert because there was lots of sand. I went on a few walks in the park. I did not drive in because you need a four wheel drive. 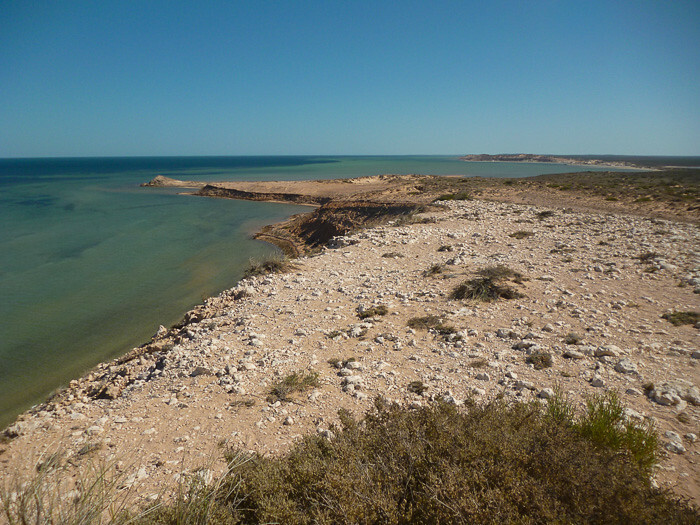 And into South Australia. 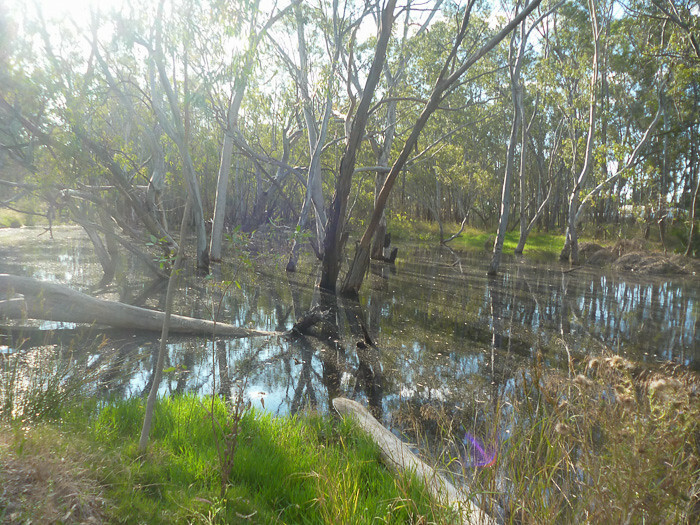 Near Bordertown, I went for a hopeful look at Poocher Swamp but it was dry. 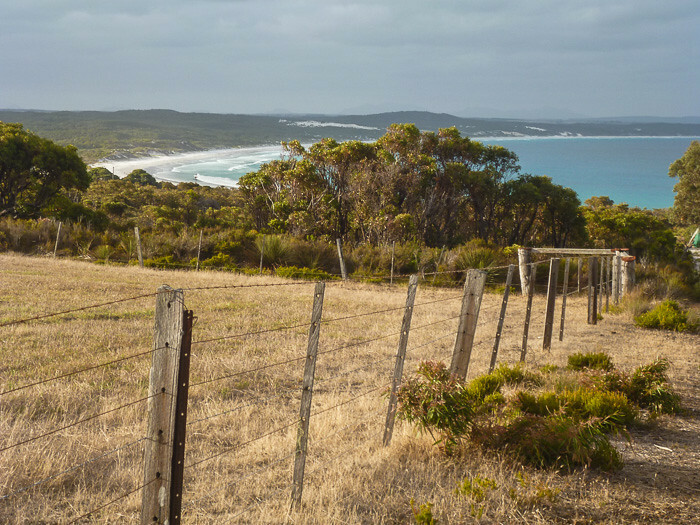 Further North from Bordertown and into the Ngarkat Conservation Park. More mallee bush for miles and miles.